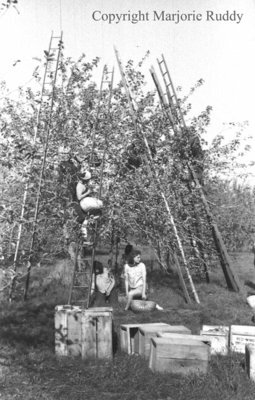 A black and white negative of unidentified women picking apples. In this view there is a woman on a ladder. Three women are sitting under an apple tree. Apple Picking, 1941, Marjorie Ruddy. Whitby Archives A2013_040_914C. Scanned from a black and white format negative.